Are Hooray Heroes children's books the best gift you can give to a child? We certainly believe so. Of course, they could never replace a walk in the nearby woods, jumping in puddles or having endless fun with friends. But since you can’t do these wonderful things all day long, and because we all need a little downtime every once in a while, we believe a personalized children’s book is something every child should be lucky enough to have when it’s time to cuddle up on the sofa and have some quality time with the mom and dad. Hooray Heroes books make children the heroes of the story. 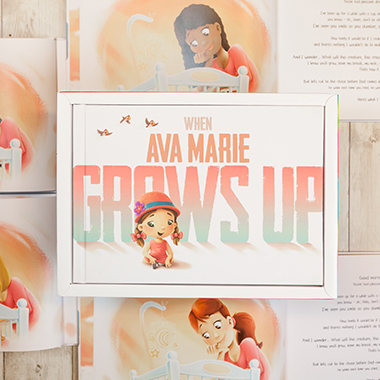 The most valuable asset of our books is definitely the element of “personalization”. As we all know, children love to role-play and what sparks the imagination more than seeing yourself as the protagonist of the story? This truly is a powerful tool to help a child learn new things and reimagine his world of fairy tales. The littlest of the little who are still getting used to the sounds of mommy's and daddy's voices, those already familiar with the doodles that adults call letters and words, and also those children who would like to share a very special story with their teacher and classmates for home reading – all of these children are just the happiest little campers when they see themselves in one of our books in which they are the hero. How to choose the right book? 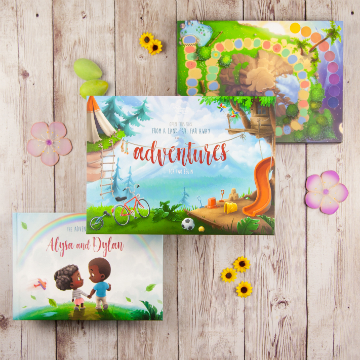 Our Hooray Heroes bookshelves are filled with a range of books, and each of them includes a special lesson that will surely teach your child something valuable and ease their journey to Grown-Up Land. In each and every book, you create the hero. Just choose the hero's gender, name and appearance and write a personal dedication that will make your gift even more special and unique – all at no additional cost. 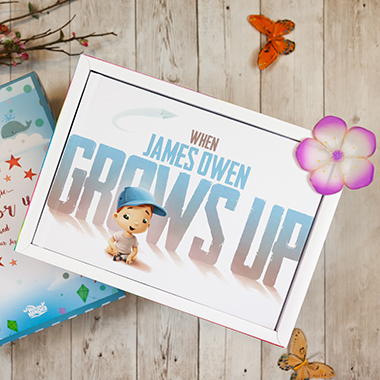 Do you have a special occasion coming up and want to give the book to your little hero in a lovely gift box? Well, the little ladybugs of our land have designed very special gift boxes that double as fun board games for the whole family. If you have any additional questions about choosing the best gift for your child, please contact us at any time at hello@hoorayheroes.com or call us at 1-888-383-1993. Wrap the best gift ever in the best gift box ever!